At times we all need someone else to speak for us. If this is your time, I would be honored to speak for you. - Janet M. Mistele, J.D. If you are facing the possibility of spending time in prison, then you need to have one of the best defense attorneys you can find, and have her fight for you. 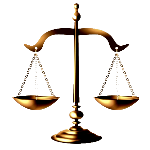 You need to hire a defense lawyer who has the respect of judges and other attorneys. One who has many years of practicing law in a courtroom before a jury. An attorney who is smart, determined, and successful. Ms. Mistele brings a wealth of experience you can rely on. Since 1991, she has had many of her clients who had been charged with felonies and facing time in prison, see the charges dismissed or reduced, given probation, and free to go home. Other clients who were forced to go to trial by unreasonable prosecutors, walked free after being found not guilty by juries. While she is handling your case, she explains in simple terms how everything is progressing and what options you have. She knows the last thing you need is someone talking down to you or using terms you can’t understand. Experience provides confidence, and that is what you’ll have when you are represented by Traverse City Criminal Defense Lawyer Janet M. Mistele.